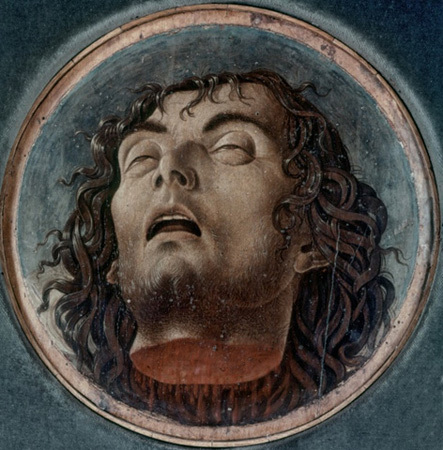 While painting in broad areas of Germany had been dominated in the 1460s by fairly similar "Netherlandicizing" traits, towards the end of the 15th century artists in the south of the country increasingly began to emancipate themselves from such influences. Production flourished as private individuals and guilds competed with each other to crown all the main and subsidiary altars in their city and parish churches with al-tarpieces. Many cities saw the emergence of specialized workshops of high technical quality. Leading centres such as Vienna, Regensburg, Nuremberg, Augsburg, Ulm, Nordlin-gen, Mainz and Colmar, not to mention Basle and above all Strasburg, became magnets for artists in their own right. They no longer needed to refer back to the Netherlands, particularly since Cologne lay much closer and the focus across Europe was now shifting towards Italy. Augsburg in particular began to orient itself increasingly towards the South. As the nature of art production in the late Middle Ages implies, gifted apprentices could only realize their fullest potential within workshops of a correspondingly high standard and - also importantly - attracting a healthy volume of well-paying commissions. The notion of the self-taught artist was unthinkable; even in our own century, only few such artists have reached the very top. The actual artistic style of the master remained of secondary concern, however. The importance of technical skills and the structure of urban society favoured the emergence of artist dynasties. Since the possibilities of setting up a new workshop were only limited, existing businesses were passed on if at all possible from father to son. Most artists acquired their basic knowledge of materials in their father's workshop. 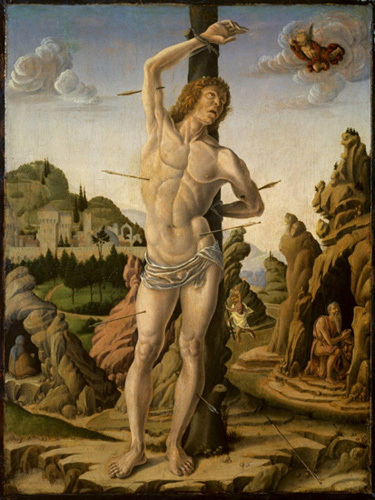 The majority of leading painters of the day were sons either of painters, such as Hans Holbein the Younger (1497/98-1543), or of goldsmiths, such as Schongauer and Durer. Should a master die without leaving a direct heir, his workshop would usually pass, via marriage to his widow, to a particularly gifted pupil or senior journeyman — an arrangement which, in an age with no state welfare system, guaranteed both parties a necessary financial security. Within artisan circles just as between ruling houses, marriages were organized with practical interests in mind - even in this regard, the contrast with the modern image of the Bohemian artist could hardly be greater. 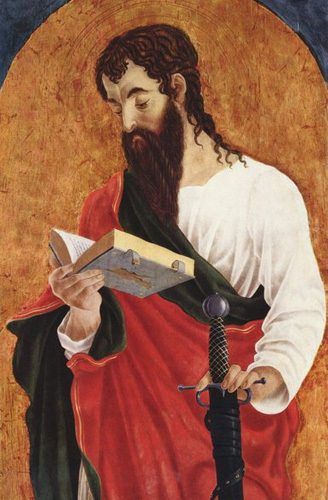 In view of all this, it is hardly surprising that the three greatest artists of their day, Schongauer, Hans Holbein the Younger and Durer, should have grown up in the major centres of Colmar, Basle and Nuremberg. 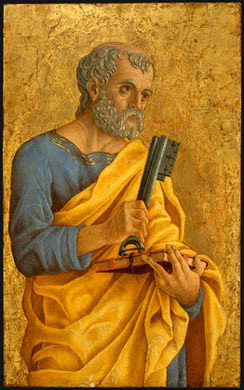 The decision whether to join a town guild, rigid in structure but guaranteeing a secure livelihood, or to try one's luck as an itinerant artist, which carried the possibility of earning far greater sums at some courts even without a master's qualification, was one that every artist then had to make for himself. Schongauer and Durer remained faithful to the cities of their birth — notwithstanding Durer's travels and occasional commissions for the aristocracy. Despite the rigidity of the guild system, around 1500 the rivalry between the prosperous centres of southern Germany led to the emergence of prominent individuals within the arts. Appreciation of personal styles was growing, as can be seen in certain regions of Italy, even if the lead was being taken by the nobility rather than the civic authorities. Fussy collectors valued originality more than did conservative city notables. 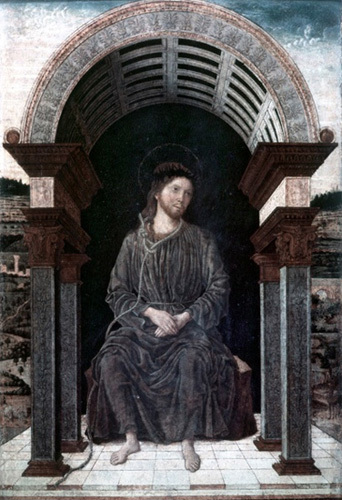 Names such as Marco Zoppo (c. 1432—1478), Andrea Mantegna (1431 —1506) and Cosme Tura (1429/30—1495) stand for this new attitude towards the artist, which comes closer to the modern concept of the genius. In the Netherlands, Hugo van der Goes represents an astonishingly similar trend. At the pinnacle of the German school stood, without a doubt, Albrecht Durer in Nuremberg. Alongside Rembrandt (1606—1669), Durer was probably the most important graphic artist of all time, and even in his paintings he remained ultimately a draughtsman. In the arabesque-like play of his sweeping lines and gnarled forms, he also remained the last Gothic artist - despite all his trips to Italy, all his grappling with Venetian fleshiness and southern proportion. 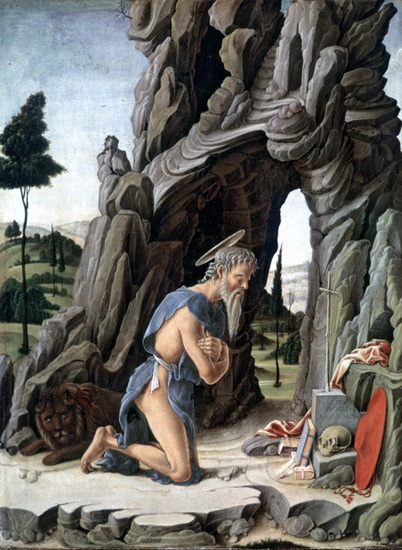 Not without reason did he find himself confronted in Italy with the criticism that his works were "not in the Antique style" (letter to Pirckheimer, 7.2.1506) — a reproach which would later also be voiced by Vasari. The extremely sophisticated portrait studies and other works by Hans Holbein the Younger point more emphatically towards the new era of the Renaissance. 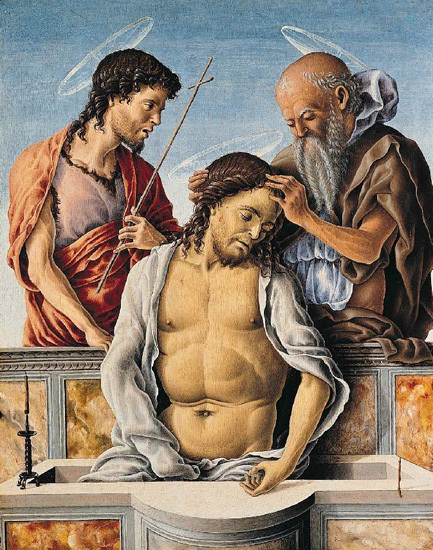 For that reason he is absent from this book, in contrast to his father Hans Holbein the Elder (c. 1465-1524), also a brilliant technician, whose work was influenced by Italy in its motifs rather than its spirit. 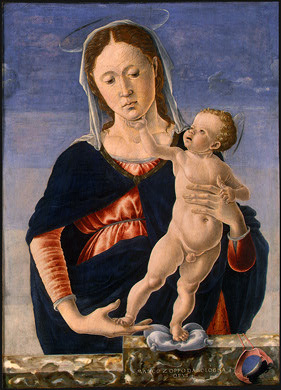 (b Cento, nr Bologna, ?1432; d Venice, ?1478). Italian painter. 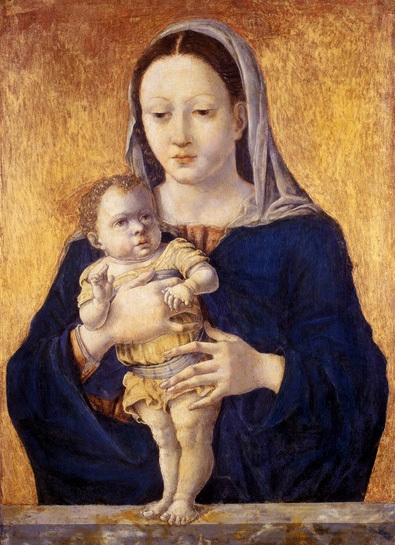 The earliest dated notice of Zoppo is an agreement of 24 May 1455 concerning his legal adoption by the Paduan painter Francesco Squarcione. The document indicates that at the time it was drawn up Zoppo had been living in Squarcione’s house for about two years and at 23 years old was already recognized as a painter of considerable ability. 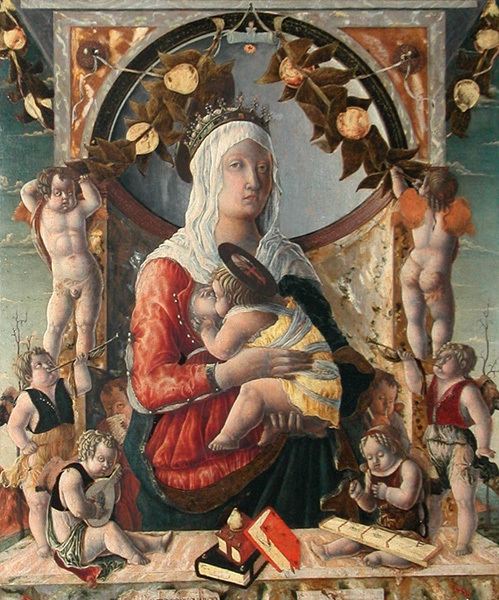 According to the agreement, Squarcione, who was childless and had recently become a widower, acknowledged Zoppo as his sole heir in return for Zoppo’s work in painting. The contract, however, was short-lived. By October of the same year, Zoppo had left Squarcione and was living in Venice. Two documents record the terms by which the adoption agreement was to be annulled and the arrangements drawn up not only to compensate Zoppo for work he had executed for which Squarcione had received payment, but also to cover Squarcione’s costs for having provided Zoppo with lodging and artists’ materials. 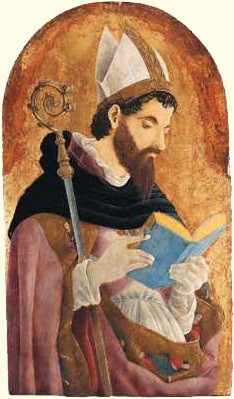 Clearly Zoppo quickly discovered that the conditions placed on him by Squarcione were not to his advantage. 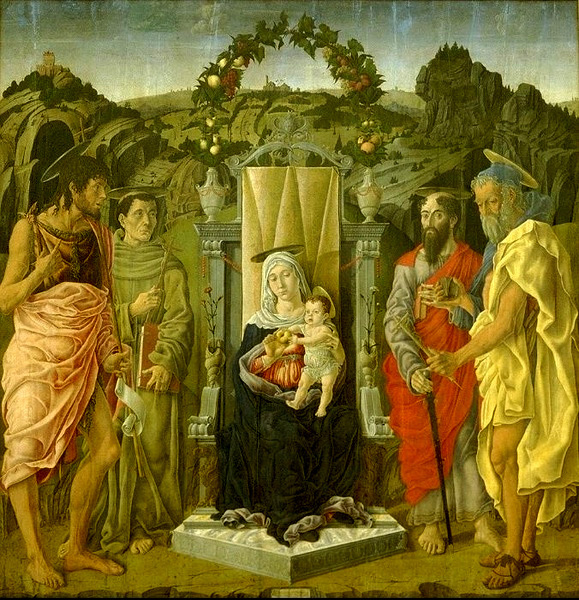 Like other young artists who came into contact with Squarcione, most notably Andrea Mantegna, who had a similar experience in the late 1440s, Zoppo soon realized that his success as an artist rested on gaining his freedom, even though this could be achieved only by relinquishing his rights to Squarcione’s substantial estate.